Corporate packages Get unlimited access to all functions of the service at the fixed price. GoAntiFraud provides personal 5/7 customer support. 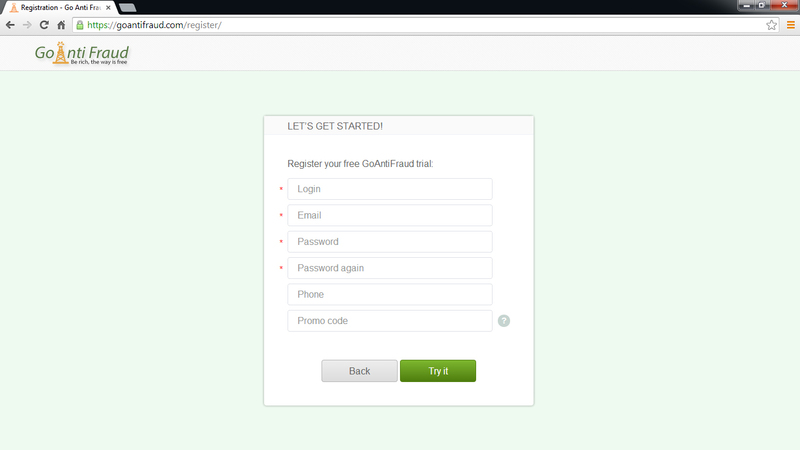 We will help you purchase and set up your server so that you can work via GoAntiFraud. Would you like to buy GoIP equipment? 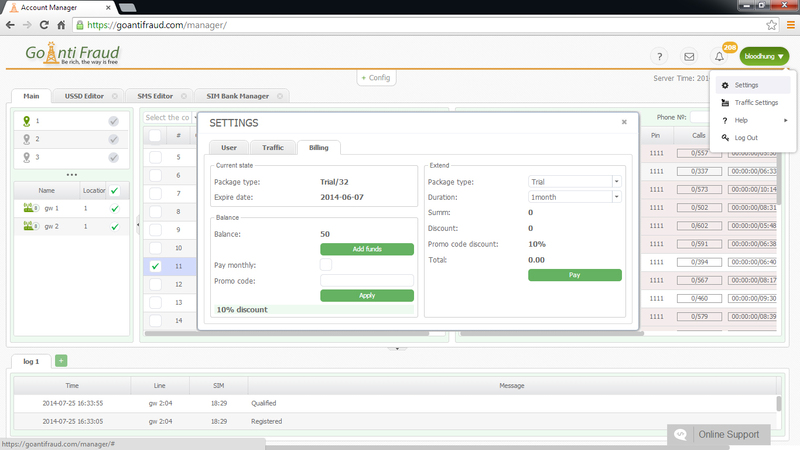 Features The complete business solution to rise your profits from termination with GoIP equipment. Individual set up of all your GoIP equipment and connection of modules by our technician. 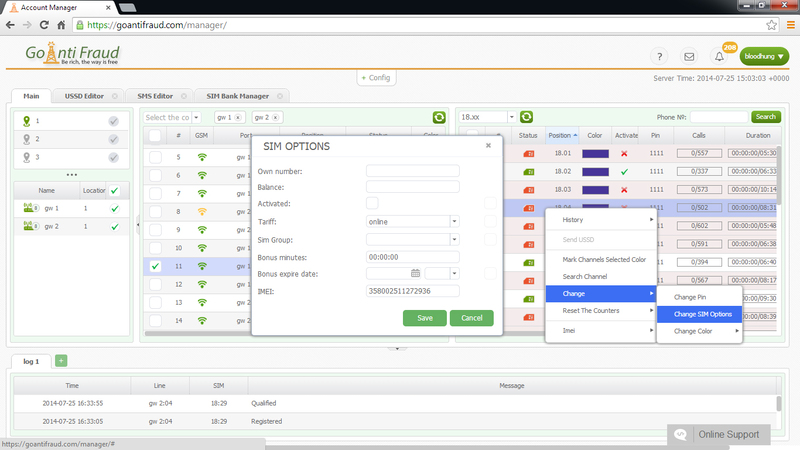 Protect your SIM-cards against AntiFraud system using the wide range of human behavior simulation tools. 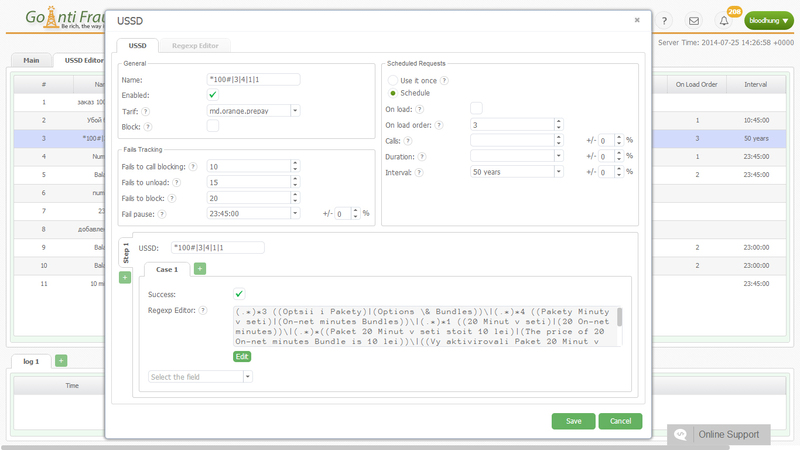 Create completely automated templates for SIM-cards operation in your GoIP-equipment. Reduces consumption of network traffic up to 3 times for price cheaper than SBO solutions. Get complete statistical data on the SIM-cards and channels to analyze efficiency and improve the logic of your work. Keeps cards in the gateways up to 6 hours when communication with the SIM-bank is interrupted. 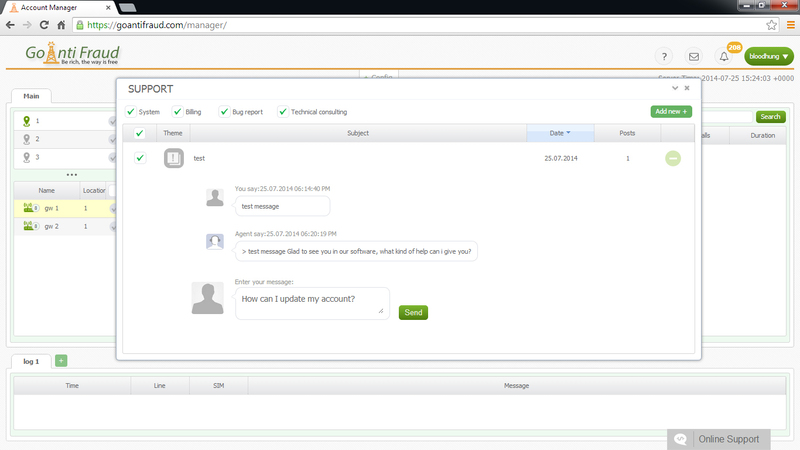 Access to the entire GoIP-system from one user account. 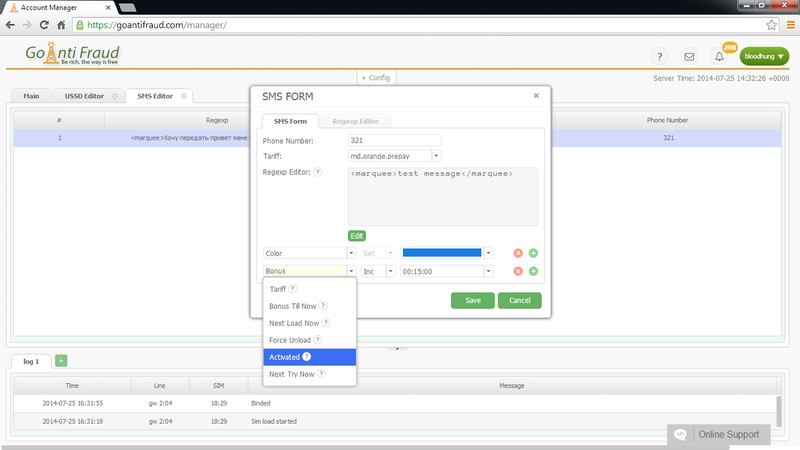 We offer a cloud service that does not require setting up and connection of third-party’s software. 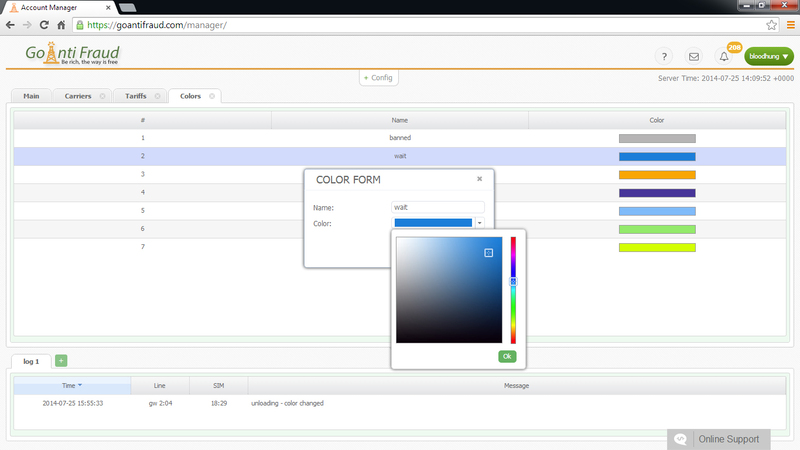 GoAntiFraud customizes the human behavior of your cards to protect them from AntiFraud system. 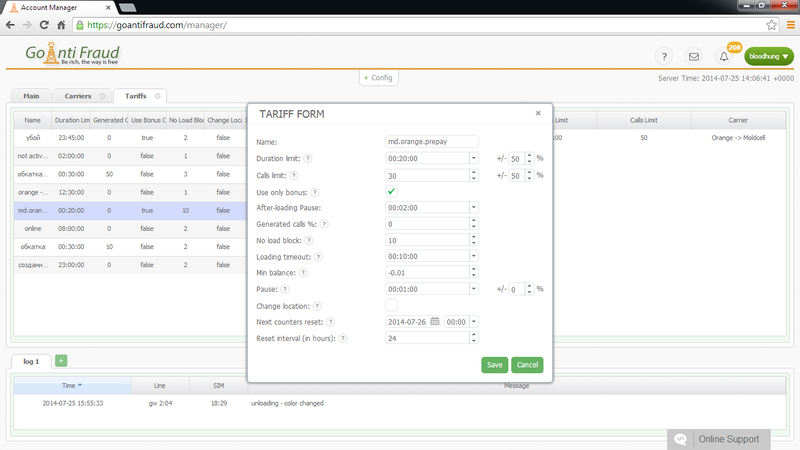 Remote monitoring of your GoIP equipment from your phone. GoAntiFraud provides access to your equipment from anywhere and from any device: iOS or Android. Listen to conversations in order to analyze your ACD and ASR problem and check the quality of the traffic provided by your originator. We provide our customers with 24/7 information and technical support. Regardless of your location or time zone, our experts are always in touch to promptly advise you. After all, in our business time is money.